Yesterday we posted a photo of golfer Jason Dufner visiting a community center and looking supremely downtrodden. Today, golfers all across the land are razzing Dufner, who's been chipper enough about the whole thing, by mimicking his pose. Dufnering! It's a thing! 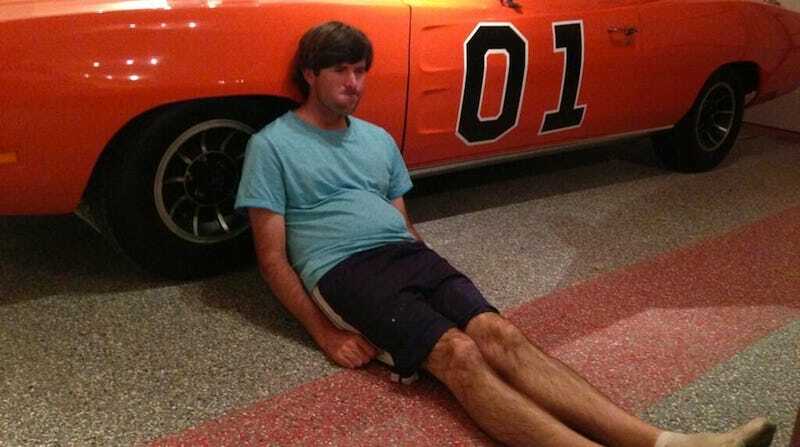 Bubba Watson, who Dufnered in the photo above against the General Lee, from The Dukes of Hazzard, wins. Bless this frumpy, frumpy man. And all these other professional athletes.